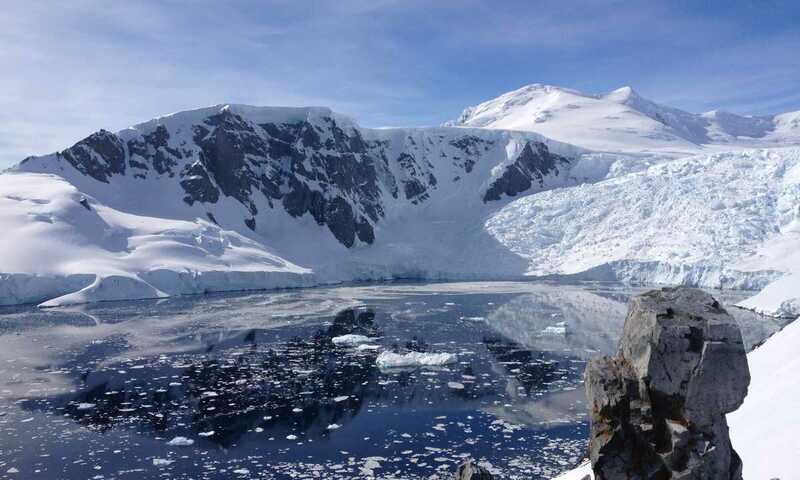 November signals the start of the travel season to Antarctica and arrival of the first boats. Spring is in the air, the penguin rookeries are a hive of activity, while the presence of ‘fast ice’ provides the rare chance of walking on sea ice. November is colder and more unpredictable weather-wise, with less fauna, but the pluses include the chance of walking on sea ice, ideal conditions for snow shoeing, good cabin availability and great prices. Brilliant itinerary. Early season cruise was fantastic with lovely snow and ice to enjoy. Expedition staff were uniformly excellent with wide areas of knowledge and expertise. Everyone worked smoothly together to get us all ashore quickly, efficiently and safely. The Captain added to our enjoyment by giving us unexpectedly close-up experiences of polar ice. Going early in the season gave us pristine snowy landscapes. We had the unique opportunity to see a lone emperor penguin. Getting out onto the sea ice and so close to massive icebergs was fantastic. It was magnificent. We very much appreciated the assistance provided by Swoop and the recommendations - particularly our cabin chosen by Alex. The organisation of the crew every day to get everyone on shore was exceptional. Everyone provided excellent service Could not have been better. Probably the highlight (there were many) was landing on the continent. Other highlights: thousands of penguins, many whales, hundreds of birds. Mountains covered with snow. Icebergs everywhere, some that rolled, looking very wet, some with a dusting of snow that looked like powder sugar and some with seals laying in the sun. November is springtime in Antarctica. Early visitors get to enjoy pristine snow conditions and heavy ice. Photographers love the soft light and antics of the courting penguins. 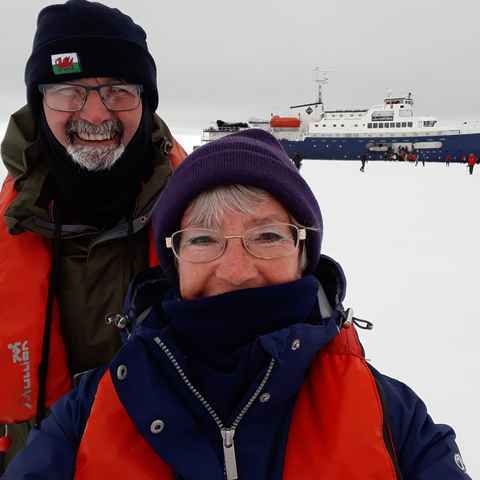 Sometimes the snow is so thick in November that expedition staff have to go ahead and dig steps so we can get ashore - it's much more of an expedition. I love the pristine whiteness of November! What's the weather like in Antarctica in November? November is typified by colder, less predictable weather. Snow isn't uncommon on South Georgia, but makes for great photo opportunities. What wildlife can I see in Antarctica in November? Spring has sprung in Antarctica and wildlife numbers begin increasing, particularly with the return of the penguins. On the Antarctic Peninsula the Adelie, Chinstrap and Gentoo penguins are busily engrossed in nest building, pebble stealing and courtship displays in their vast rookeries. Humpback whales may be sighted on the Drake Passage on their annual migration south to gorge in Antarctica's krill-rich waters. To the northeast, South Georgia is an exciting place in November as the beaches are packed with rowdy elephant seals offering a visual feast you won't get at any other time of the year. There are somewhat fewer king penguins in the rookeries, but they are still in their many, many thousands. Is it cheaper to visit Antarctica in November? November is traditionally perceived as a 'shoulder season' month which is reflected in lower prices than in high season (mid-December - early February). 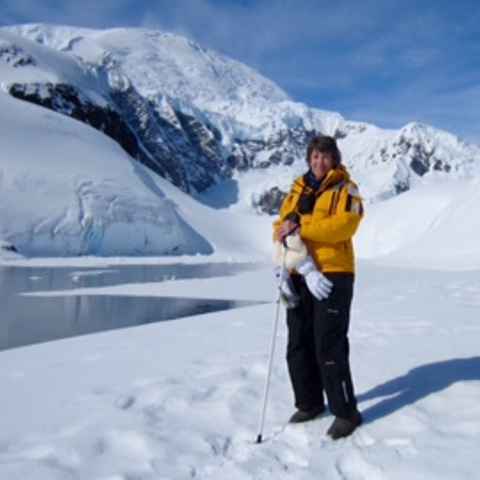 Savings by the canny traveller can definitely be made by opting to travel in November, which in our book is a really exciting time to go to Antarctica. Can I fly to Antarctica in November? The airstrip on King George Island in the South Shetlands only becomes operational from 1st December, so this month the only way to access Antarctica is by ship, sailing across the Drake Passage. November is a fantastic month for the active traveller as the snow is at its best, offering ideal conditions for snowshoeing and backcountry skiing. Camping is possible, as is kayaking, but both are chilly.